“Last day of 2017/First Day of 2018” New Year Math Challeges! Print this out (or do your best to copy/draw and label the figures). Bring your solution(s) with the correct answer(s) in on 1/8 for a treat(s). 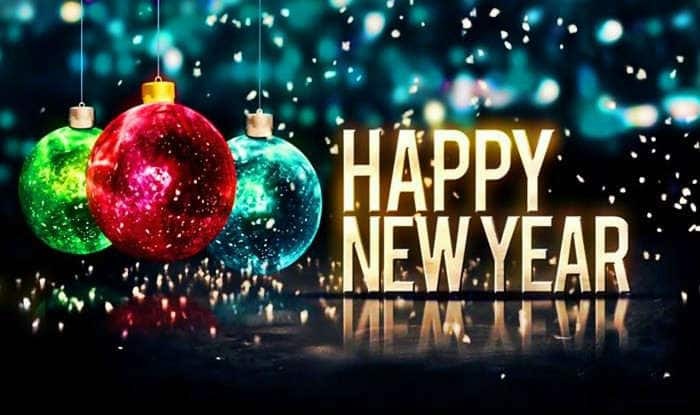 ENJOY THE REST OF YOUR BREAK AND HAPPY NEW YEAR! Attention LCES 5th Grade BETA Member’s only! Aside from hoping you are all enjoying your holiday, I need you to read and respond to this post if you are seriously interested in participating in the Va State BETA Convention. See below for more details. The Va State BETA Convention is February 13-14, 2018 in Hampton Roads, Va.
>>Please go to http://www.betaclub.org/events/conventions for more details or… contact Mrs Feggans at Tfeggans@ccps.us or 804-366-6416. Mrs Feggans is the point of contact for CCPS. Remember! Tomorrow is our sing-a-long in the AM. Grizzly Pride(for those that have earned it) is tomorrow afternoon. Thursday is our culminating activity for the project based penguin project. We will complete some fun, relaxing school related activities as well as have some pizza and snacks while we watch Happy Feet Two. Homework: Review for cumulative YTD Math Test tomorrow. We are benchmark testing today and will have brief review based on those result tomorrow before we begin the test. I recommended to all classes that they take notebooks home and the graded 2nd 9 weeks study guide to review any skills they think are their weakest. I also asked them to see me tomorrow before announcements with any questions. Lot’s and lots going on this week! Here are a few reminders so you’re ready. One day left before the 2nd 9 weeks cumulative math test. This is an important grade so please review as needed and come see me in the AM before announcements or during I/E time with questions. The CCPS math benchmark is tomorrow. I will use those results to direct a brief review Tuesday before beginning the test. Monday-PJ Day(no slippers), Tuesday-Holiday Sock/Head Gear Day, Wednesday-Dress like Favorite Character Day, Thursday-Tacky Sweater Day. Thursday is also the 5th grade holiday party. We will be eating lunch as we watch Happy Feet Two as a culminating activity to our penguin unit. If your child would like to eat pizza for lunch, please send in $3 no later than Tuesday. We are ordering from Dominoes. Otherwise, they can just bring or buy their lunch as always. Bottled water/snack donations can be dropped off this week. We are doing our best to keep the students focused on learning as we get close to holiday break, but need your help. Please talk to your child before school each day this week to be sure they understand that our focus is still on learning. The fun will come, but after the work is done! Homework: Perimeter/Area Review sheet. There were far too many careless mistakes on yesterday’s review page, so take more time when completing tonight’s homework and refer to your notebook. Remember! I am going to mark them wrong if you do not have the correct units of measurement in your answer. 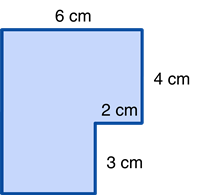 Ex: If it is a perimeter question, you must include inches(in), centimeters(cm), etc. in your answer BUT NOT the exponent 2. You only inclulde the exponent for Area questions. Ex: If it is an area question, you must not only include meters(m), yards(yds), meters(m), etc. in your answer BUT YOU MUST ALSO INCLUDE the the exponent 2 behind(not in front of) the unit of measure. Look in your notebook. There are lots of examples of both. And remember, the area of a triangle is half of the area of a rectangle or square. So…..when calulating the area of a triangle, you must remember the 2nd step which is to divide the product of the base and height by 2. In the above example you would mulitply 6(base) x 4(height) = 24, and 24 divided by 2 = 12. 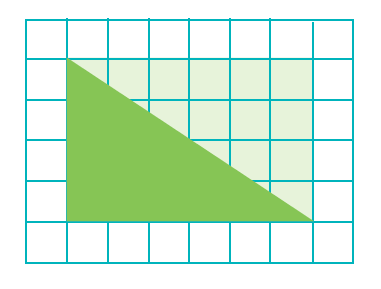 The area of the green triangle = 12 square units. Homework: Perimeter/Area Review page. Show all work as discussed in class and show work for #5 on the back of worksheet. Math Benchmark is next Monday. We are working hard to get all material learned by end of week. Please encourage your child to refer to their notebooks as they complete assigned work. It would be a good idea for them to also go back into their notebooks and review previously taught material in preparation for the CCPS benchmark and the 2nd 9 week test that I will administer for a grade. Monday is also PJ Day. NO slippers. Tuesday: $3 for pizza for holiday party is due. It is Holiday sock/hat day. Wednesday: Dress like fav. holiday character day. Thursday: Tacky sweater day & Holiday party(pizza served if $3 paid by 12/19). This is also the end of the 2nd 9 weeks. Homework: 2nd 9 week study guide #21-29. Show all work on loned paper provided. Please refer to notebooks for lots of examples if youo are not sure how to calcluate any of these answers. Homework: 2nd 9 week test study guide questions #1-20. Yes, over the weekend, students will need to complete questions #1-20 only. Most of these questions require little to no paper/pencil work, but they should have their notebooks open and refer to any entries that might help them answer the questions correctly. Do not guess. This study guide will be a great opportunity to go back into their notebooks and review in an effrot to “refresh” their memories on content that was taught earlier in the year. The Math Benchmark is on December 18th in the morning. The 2nd cummulative YTD math test may come before break, but if more time is needed to review then it will take place shortly after returning from winter break. Holiday party is December 21st – Details are in the note sent home yesterday in home folders. Holiday gift shop opens next week and will be open Tuesday 12/12 from 4-6:30. Students will also have the opportunity to shop during their library period (my homeroom has library next Thursday 12/14.) so be sure to them in with $ if they want to shop.